While I technically was not at the final open house (that was actually on Sunday) at Heavyweight's Ocean Township brewery, I was there on Saturday July 1st. On my way to Ocean City, NJ (approximately 80 miles south of Heavyweight), I picked up my brother-in-law Michael and nephew Matt. 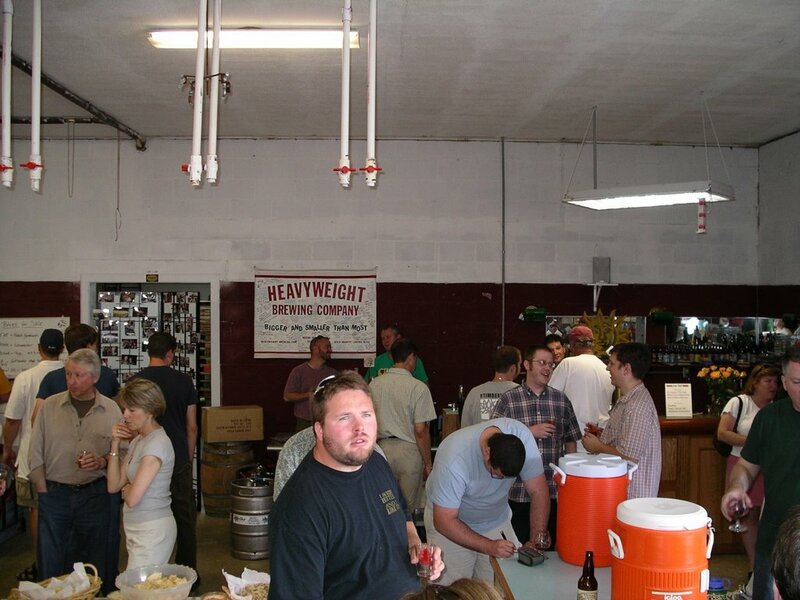 This was their first experience with Heavyweight and I was, of course, more than happy to introduce them. We showed up a bit too early and went across the street for a sandwich at Wegmans grocery store. Peggy, Tom, and company finished setting up the beer and munchies. As usual, the crowd that showed up brought generous amounts of non-perishables for the local food bank and tasty beverages for the owners and other guests to enjoy. 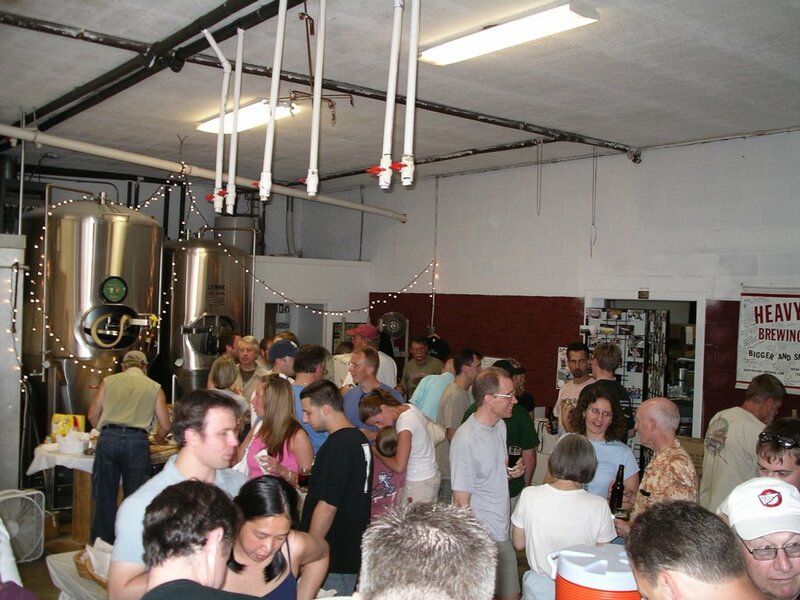 On tap for Saturday's open house included: the usual suspects (Lunacy, Perkuno's Hammer, Baltus, and Stickenjab); Bock Bock; Black Ocean; Slice of Bread; Ivy League Pils; Doug's Colonial; and Jakeldricka. And, for sale to take home, the beers available in 750ml bottles included: Jakeldricka; Biere D'Art; Doug's Colonial; Black Ocean; and Slice of Bread Rye. Also, for sale were specially-made t-shirts commemorating the final open house weekend at the brewery. All in all, it was another fine open house in northern New Jersey. Michael and Matt enjoyed their experience even more than they expected too. 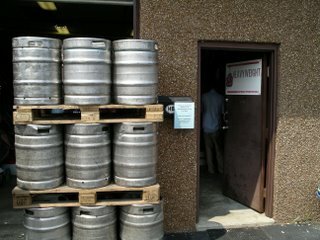 We were all pleased with the beers that we had not previously tried. It's these kind of experiences with Heavyweight that I think will be missed the most. But, hopefully, the recipes will live on in the next incarnation of Tom Baker! I sure hope you didnt forget to bring my tasty beverages! Oh yeah, I also created the timelapse video of the hops growing. I just need to get it compressed so we can post it on the web.